The Taiwan KOM Challenge Tour - a once in a lifetime experience. For die hard road cyclists there’s something alluring about the pain of climbing up into the mountains. 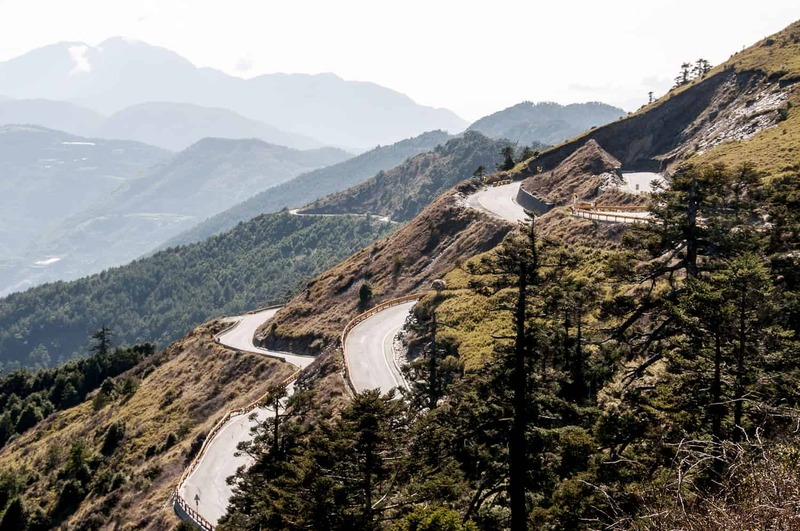 The Grand Tours have popularized Europe’s highest roads, making them the bucket list of many riders, but there is another iconic climb that is quickly becoming the must do on riders bucket lists – the Taiwan KOM Challenge. This 105 km course from sea level up to 3,275 m has all the elements needed to test rider and machine against the mountains - long, twisting ascents, thigh-numbing gradients and thinning air. Vincenzo Nibali, the 2017 the winner of the Taiwan KOM Challenge, set a new record for the event with a time of 3:19:54. He was more than a minute ahead of Spain's Oscar Pujol and 2011 Tour de France winner Cadel Evans finished 10th. Britain's Emma Pooley won the women's race in 4:08:40. Nibali said he has “never ridden such a long and hard climb before in my entire life," after posing on the winner's podium. You don’t have to be a pro to enjoy the pain and glory of an epic climb. Participate in the Taiwan KOM Challenge with All Things Ride and conquer this mountain. Starting from Hualien’s Qixingtan, passing through the spectacular Taroko Gorge, then climbing to Taiwan’s highest passable road apex atop Route 14A to Wuling Pass. The route begins at sea level on the eastern coast then climbs up to 3275 metres. This 105 km route has tested even the world’s most elite riders. There are only 600 slots available for this race. With our local ground handlers, we will register you for the race and give you sage advice for completing this challenge. We start with some warm up rides to acclimatize you to the time zone and the temperatures. We also introduce you to the last kms of the race by climbing them two days prior. Resting the day before the race we aid you with the registration so you can spend your time preparing for race day. Enquire now for 2018 or 2020 for this amazing event. We require a £600 deposit in order to confirm your place on the Taiwan KOM Challenge. This is a sell out event so please ensure that you receive deposit confirmation. Deposits are strictly non-refundable. The Tropic of Cancer runs straight through the middle of Taiwan resulting in a subtropical climate. Summers can be hot, humid and wet, although rainfall is often limited to short showers. Typhoon season hits in late summer to mid-autumn and tends to strike the east coast particularly hard. Winter temperatures are mild and the only snowfall is on mountain peaks. The annual average temperature of the northern part is around 21.7C (71F) while it is around 24.1C (75F) in the southern part. The coldest months are from January to March with the lowest temperature to about 10C (50F). The average temperature of the rest of the year is around 25C (77F). Rain is always a possibility in Taiwan so please come prepared with waterproof jacket and pants. As we also cycle to high altitudes where the weather can be cooler and change quickly it is best to have layers available. Taiwan is also prone to earthquakes as it sits on the colliding Eurasian and Philippine plates. These grinding plates are also responsible for the beautiful mountains and amazing hot springs that make the trip to Taiwan truly worthwhile. Most of these quakes are small earth tremors. Meals are included as per the itinerary where B = breakfast, L = lunch, D = dinner. Most meals are local and feature noodles, rice, and soups. Any special dietary requirements can also be catered for as well. Please let us know at the time of booking. Keeping you completely hydrated is a job we take very seriously. Cold water, some energy-restoring drinks while you are riding are included in the tour price. Soft drinks and other beverages during meals are not included. Beer is freely available everywhere but is NOT included in the price. We do not require you to pay a surcharge for traveling alone. We will arrange for you to share accommodation with another traveler of the same gender and if we can not match you up we will provide a single room at no extra charge. If you prefer not to share a single supplement is payable to guarantee your own room. The cost of the single supplement is listed above. We recommend that you tuck away a few extra dollars, perhaps US$20 a day, for incidentals. Taiwan’s currency is the New Taiwanese Dollar (NT). ATMs, which are abundant, are the easiest way to get NT. With more than 4,000 7-Elevens across the country, there are ATMs on the international Plus or Cirrus network and have English-language options. Have a supply of US dollars in cash on hand, just in case your card doesn’t work. Credit cards are accepted in big cities and resort hotels but you’ll need cash for family-run guesthouses or restaurants. Local bike hire is available. Please enquire at the time of booking with sizes being required in advance for the Taiwan KOM Challenge. Full balance is required 10 weeks before the date of the Taiwan KOM Challenge. We require the names, contact numbers and email address of all travellers. Please ensure all the members of your group have appropriate travel insurance - it is a condition of travel with All Things Ride.